I’d heard she gave away her cooker to people in need, and now she uses a portable hob. I’d heard she sent 19 40ft containers full of hand-me- downs to Ghana. I’d heard she spent her SSIA money on building a school for children in Africa. 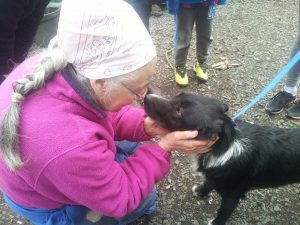 But the most frequent thing I hear about 64-year-old Noeline Haylett is that she rescues animals and spends her life savings on keeping them alive. Everything I’d heard was true. Walking into Noeline’s home in Carrowholly, Westport, is like stepping through the gates of a pet zoo. Over a symphony of barks and tweets she welcomed me into the kind of place where it’s wise to check chairs before sitting- in case a cat or ferret has already claimed it as their throne. After taking the little bird in and fixing it up, word spread that Noeline didn’t mind getting strays dropped to her door. The day I visited, she had 40 abandoned animals living with her and a litter of puppies due to arrive- the least number of furry guests she has had in years. Over a decade ago, Noeline’s ever-expanding animal farm was granted charity status, Mayo Animal Welfare, providing her with €3,000 per year towards vets bills. 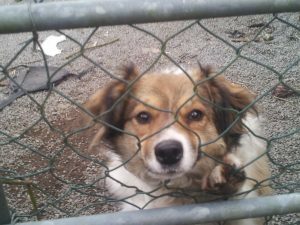 But with last year’s bill totaling €8,000 and another €3,000 needed to feed the animals, the animal-lover is struggling to keep afloat. “Two baby owls eat more than I do and it’s very hard to pay for everything. But I take animals in regardless and try to fix them up,” she said. Over the years, Noeline has come up against the most cold-hearted individuals, casually throwing away old pets to make way for ones, dumping inconvenient animals when it’s time for a sun holiday, and even tossing them aside on Christmas Day- when a new arrival comes. “Some people actually buy pets to keep their children entertained during the summer holidays. Then when they’re back to school they ring me and ask me to take their pet away because they don’t need it anymore,” she said. Regardless of the owner, Noeline has only ever refused two animals in her time- a 10ft python and a tarantula- because she doesn’t classify them as pets and doesn’t believe they should live in glass boxes. “I do take in animals from people who have died without hesitation. I’ll take them with a heart and a half and they can live here till they die,” she said. 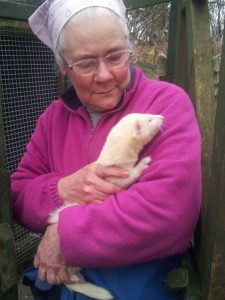 With dozens of calls coming in most days- Noeline is like a lone superhero, roaming the country to rescue animals in all sorts of distressing situations- from loose ferrets at delicatessen counters in supermarkets to cats trapped under elevators. She does it all for nothing. As I left her little cottage, another old dog was being dropped off. Shaking with fear, his shy and gentle eyes looked up at Noeline and she held him in her arms. Another one to feed, another one to love, another one she needs help caring for. "A little girl came up the road sobbing her heart out. She showed me a little bird and cried 'mummy said I have to pull its head off. '”"